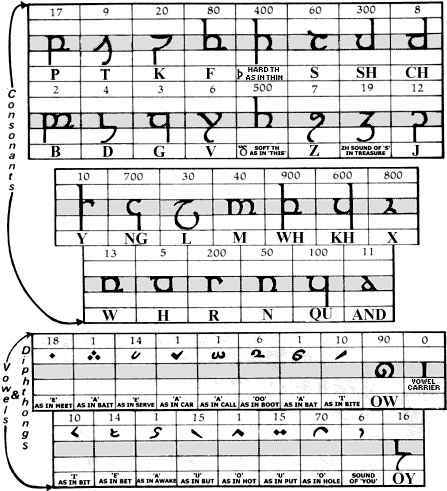 table below shows the characters which make up the Norquay script. Words are built based on English pronunciation (how they sound) rather than based on the Latin "spelling". Capital letters are represented by a single dot preceeding the word. The layout and images on this website are copyright © 2000 James Norquay.